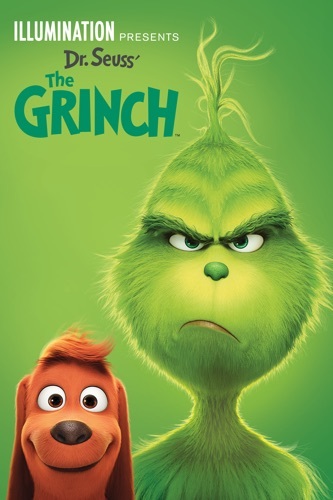 Illumination Presents: Dr. Seuss' The Grinch wiki, synopsis, reviews - Movies Rankings! illumination presents: dr. seuss' the grinch - scott mosier & yarrow cheney synopsis will be updates.. I am writing this review in hopes I save someone some money. This movie was absolutely the worst rendition of the grinch! Jim Carry’s grinch was far better and its free to watch on holidays. Save yourself from the horrible voice actor and poor excuse for a plot. Just don’t watch it unless it’s free and even then prepare to look at your phone for most of the movie. Eye [email protected] $een +h!$ 9+h [email protected]+!0n f!lm !n [email protected] 0n N0vember 10, 2018 4 0pen!n'. Eye w!ll C +he Gr!nch '[email protected]!n when !+ c0me$ 2 Ne+fl!x. Nous avons beaucoup aimé. Des images magnifiques, le personnage principal est beau et fait moins peur que dans le film original. Beaucoup de moments très drôles. Un beau film familial ! Fantastic movie: great animation, amazing music, great laughs. Totally recommend it, best movie I have ever seen. Good for all ages. Like the book, the cartoon and the Jim Carrey version, it was brilliant! Benedict Cumberbatch is another great Grinch! The scoring was amazing too. It’s the same movie just worst. Story different. And not really that funny. How to ruin a classic movie just for profit. 2 stars instead of one because I wasn’t expecting it to beat the original. And yet they still shocked me on how sadly it was created.